When was the last time you backed up your computer? It's probably been a while. And what about access to your PC? It's probably never been a major concern to you, you usually leave your computer on and your office door open during rush hour when you are not in the office. Sound familiar? Yet you know your data is precious and many things (such as viruses, hard drive failures, upset employees) can wipe out your data in seconds. "Last year, a fire started in the kitchen and spread to the office. All of my business records were lost. Fortunately for me, I was using 2020's online HyperVision™ service, all of my sales, purchasing, payroll and other critical business data was stored on their servers. Thank goodness I made the decision to use their services." 2020 ITS automatically backs up your data each day using an industry strength storage system. Even if you something silly (such as instruct the service to delete all of your data), or even if you corrupt your source data, 2020 can recover it. And your business will never be affected by localized events such as fires, hard drive failures or computer viruses. When using any of 2020's web based solutions, only you and other people you permit are allowed to access your data. When you use 2020's web based applications, all access is SSL based (HTTPS), your data is encrypted and remains confidential. In summary, your business data remains your business, it is not accessible or viewable by unauthorized people. Using a professional web based application has many benefits. From anywhere, anytime access, to data security, automatic backups and data archiving, 2020's solutions offer considerable benefits while reducing risk. 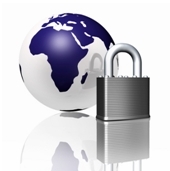 Rest easy knowing your critical business data is safe and secure.